Cabin 4 adjoins Cabin 3 with pass through doors. 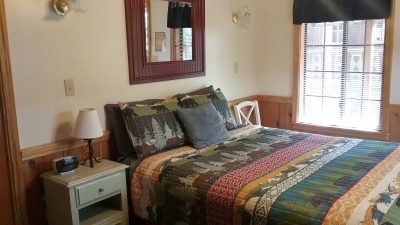 It can be rented separate as a one room cabin with deck for $110.00 per night, or you can add cabin 3 to make a two room cabin for $145.00 per night. It has a large deck, full kitchen, large frig, microwave, coffee, with a queen bed. It has a TV with tape player and DVD player and satellite included. 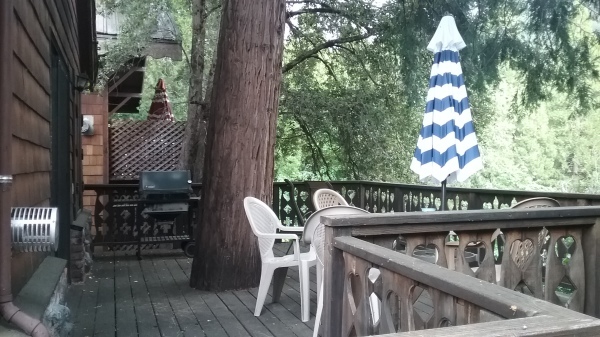 There is a full bar-b-que on the deck, a table and chairs. 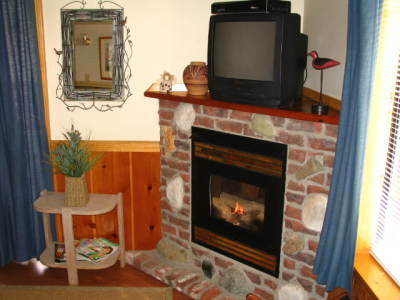 The cabin has a gas fire place and new carpet. The bathroom has a shower and hair drier. The deck with this room is a treat. It is quite large, holds maybe 12 people if you want friends over. The view of the river gorge and the trees is great. The bird watchers really liked it because of all the critters. Cabin 3 adjoins cabin 4. It has one queen bed, a bathroom with shower and hair drier, TV and a coffee pot, a small fridge and new carpet. 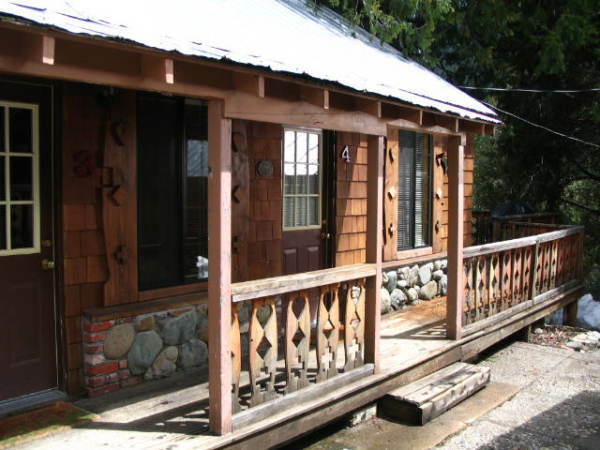 It is rented with Cabin 4 to make a two room cabin. It is no longer rented as a single unit. Maximum Occupancy per cabin is 2 persons. 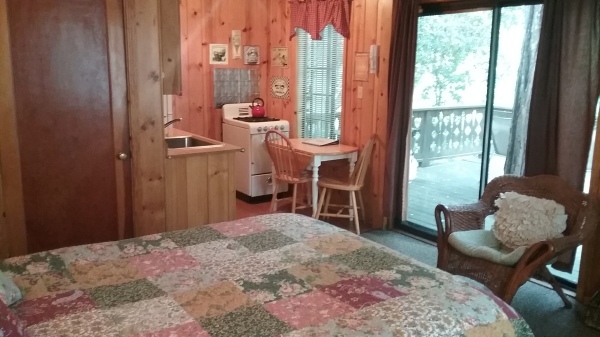 It is possible to fit a roll away bed in the cabins if both 3 and 4 are rented at the same time. Please ask. When both cabins are rented, they have a two night minimum please.